Iterations on the metagame are moving fast and furious these days, with the decks to beat seemingly shifting every week as results roll in from the big weekend tourneys. Meanwhile in the background, speculation surrounding recent Modern top performers and the emergance of the Tiny Leaders format is driving additional price shifts. Here’s the down low on the major price shifts in the world of paper Magic: The Gathering this week. Summer Bloom is a classic combo piece, meaning that it really needs a prominent deck to be doing well to be in demand. At the moment that deck is Amulet Bloom, which took 2nd at the Modern Pro Tour Fate Reforged last week and drove prices higher on several of the key components in the aftermath. However, because this is an uncommon that’s been printed multiple times and had few other obvious applications, I’d steer clear of it entirely as spec material at present. Here is a card that was basically forgotten until bright minds in the Tom Ross camp realized it might be the missing component to a successful Infect deck in Modern. The card provides reach by ensuring that any top decked pump spell threatens lethal damage when applied to whichever creature your opponent hasn’t managed to kill yet. Regular copies shouldn’t be on your radar, as there are plenty around, and foils are only worth considering if you really believe that Infect has long legs in Modern, as their recent bump took them from around $2 to $8-9. A couple of different things are pushing this card up, including Commander/EDH demand via Nihiri, the Lithomancer and some tiny leaders speculation. This could easily tap $6-8 on the shoulder, but again, it could easily show up in Modern Masters 2 and fall back to $2-3. Foils are already around $20 so I’m steering clear and outing my few copies in trades looking for $5 in value. This card already had moderate casual demand and is sourced from an under-opened set, so showing up in a strong Abzan deck at the Pro Tour (as an answer to discard and Lilianna of the Veil alongside Loxodin Smiter) was sure to cause a spike. If the card stays useful in Modern all year, expect the card to settle in the $22-$28 range, but beware a possible MM2 reprint that would crash this down into a $4-6 fallen star of a spec. I’m outing my copies this week for certain. Pact of Negation is another key component of the Amulet Bloom deck, often providing the kill in concert with a resolved Hive Mind as the opponent is handed a spell they aren’t prepared to pay for in their next upkeep, consequently costing them the game. As a Future Sight/Modern Masters rare, and a counter spell with multiple future applications, I really like this card below $10, but I’m less excited to acquire them now that they’ve risen off Pro Tour hype and seem to be on track to plateau in the $20-$25 range this year. Interestingly however, foils of the MM version are still available for $25, well below the 2x standard foil multiplier, which is tempting given the card only really sees demand in Modern and Legacy where foils are in higher demand. Most of us were totally caught off guard by the insane rise in price on the promo Ugin that was only available at the Fate Reforged pre-release events. Peaking around $250 just over a week ago, copies can now be found on Ebay around $150-$160 and it’s hard to tell where things go from here. As a non-foil of a card that is only every really played as a 1-of, my instincts tell me this could just as easily collapse under $80 as to regain $200 this year. There may be money to made by the brave or the foolish, but I’m keeping my wallet firmly clamped shut on this one for fear of variance. This card was pretty hot a few weeks ago, mostly because someone was trying to corner the market on it. The card has a unique effect that plays well in EDH/Commander and at Casual tables, and it doesn’t seem like an obvious inclusion in MM2 in June. With only limited demand to keep the price spike afloat, it’s fallen back a bit. That being said, some quick math shows we’re only 20 copies or so away from another spike in the base price. 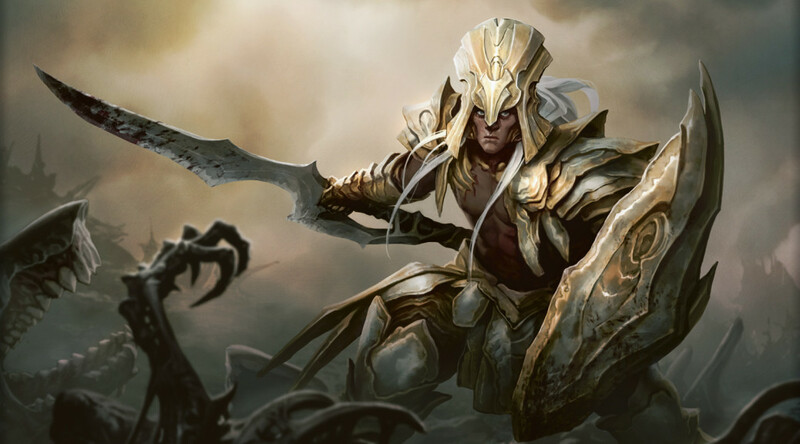 Foils are commanding a 3x premium already, so stay away from those in favor of easier targets. Rotation is still a ways off, but the Whip decks are being displaced somewhat by recent shifts in the Standard metagame towards R/G Devotion, Mono Red Aggro and R/W and R/W/U token builds. There is also a promo foil floating around under $2.50. For the long term, foils are available around $6, which is a low premium for an iconic card that will likely find a home in cubes and at casual tables for years to come.